Panasonic has been at the forefront of the travel compact camera market for some time, and the latest model to sit at the top of the range, the DMC-TZ70 builds on what is already a fantastic reputation. In what is a fairly unusual move, Panasonic has chosen to reduce the pixel count of the TZ70 when compared to its predecessor the TZ60. Whereas the old camera had a pixel count of 18 million pixels, the new device features 12 million. The physical size of the sensor is the same (1/2.3 inches) which means that the individual pixels are larger - this in turn should make it better in low light. The biggest selling point of the Panasonic Lumix DMC-TZ70 is its huge zoom range, coming in at 30x, or 24-720mm in 35mm terms. There’s also an Intelligent Zoom and Digital Zoom to boost that even further to 60x and 120x, respectively. 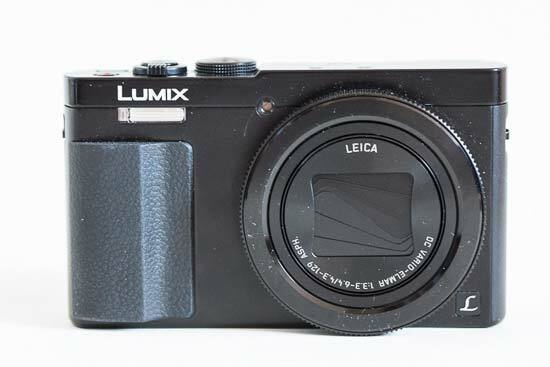 The Panasonic Lumix DMC-TZ70 retails for $399 / £349. Other features include a 0.2 inch 1,160,000-dot electronic viewfinder, three inch, 920,000-dot LCD screen and inbuilt Wi-Fi and NFC. Full 1080p video recording is also included. 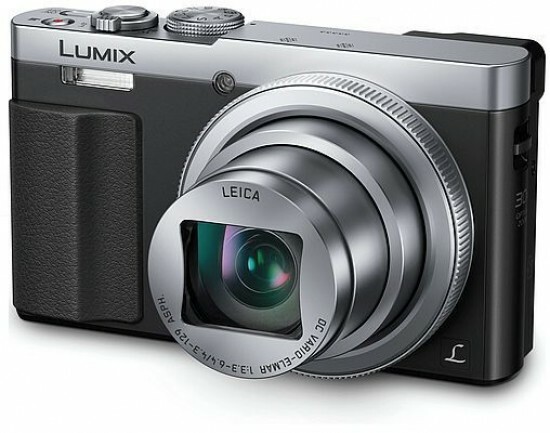 The Panasonic Lumix DMC-TZ70 / ZS25 is available in silver or black for £349.99 / $399.99. Panasonic has designed the TZ70 with one-handed use in mind. All of the buttons can be found grouped on the right hand back side of the camera, for easy reach with your thumb, or, on the top right side of the top plate, for easy reach with your forefinger. It’s pretty incredible how manufacturers such as Panasonic manage to squeeze in such a huge zoom range into pocketable devices like the TZ70. As you switch on the camera, the lens will seemingly extend from nowhere. Although it’s certainly not the slimmest compact camera on the market, for something with a 30x optical device, it’s very impressive. There’s not a huge amount of difference, in terms of the design, between the TZ70 and its predecessor, the TZ60. On the front now though you’ll find a ridge which gives you a slightly better overall grip on the camera. 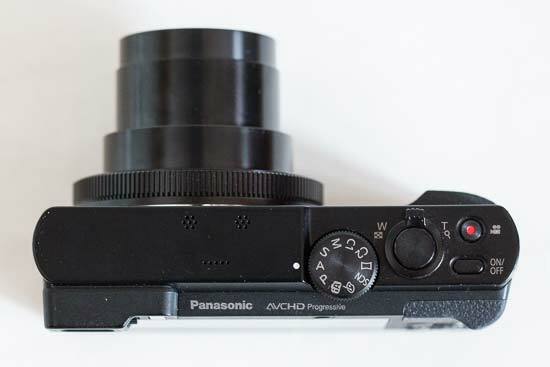 A mode dial is found on top of the Panasonic Lumix DMC-TZ70 which gives you access to all the usual exposure modes, including automatic, semi-automatic (such as aperture priority, shutter priority and so on). You can also save a couple of groups of custom settings to the mode dial, useful if you’re often photographing one kind of scene, such as low light. The zoom switch surrounds the shutter release button. Using this is nice and fluid, which is great news when considering the length of the zoom itself. Reaching the full length is quick - but not too quick - and retracting similarly so. A control ring can be found around the lens itself. By default this controls a particular setting depending on the shooting mode you’re in. For example, if you’re shooting in shutter priority mode, it alters shutter speed. You can customise it to a different function though if you prefer, such as exposure compensation. A scrolling dial on the Panasonic Lumix DMC-TZ70 can also be used to set the shutter speed or aperture, depending on the exposure mode you’re. If in full manual mode, you’ll need to hit the exposure compensation button to switch between altering shutter speed and aperture. On the top of the camera, there’s also a dedicated video record button. This is nicely out of the way of all of the other buttons, which makes it unlikely that you’ll accidentally press it when you don’t want to. On the back of the Panasonic Lumix DMC-TZ70 you’ll find a four way navigational pad. Each of these directional keys controls a certain element of the camera, for example, the right key accesses flash mode, while the down key accesses drive mode and self-timer. There are two customisable function buttons on the back of the camera, which you can set a number of different settings to. As the TZ70 doesn’t have a touch sensitive screen, you might find it helpful to set one of these buttons to access Focus Area Set - this means that if you press the button, then use the directional keys to move to the point you want, it’s quite a bit quicker than having to go through the menu (main or quick). For the settings that you set most often, such as white balance, metering, and so on, there is a quick menu which is accessed by its own dedicated button at the bottom right hand corner of the back of the camera. Unfortunately, it’s not possible to customise this quick menu, which is a shame if you find you’re not often accessing some of the functions on it. 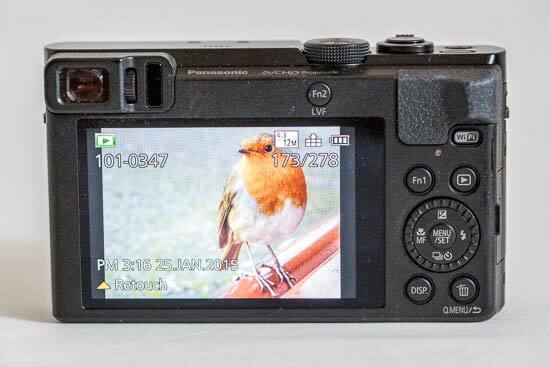 To use the quick menu, you use the directional keys to move to the setting you want to change (for example, ISO), and then the scrolling dial on the back of the camera to make the change itself. To activate macro focusing you can press the left directional button on the navigational pad. This allows you to switch between normal focusing, and close-up focusing. You can get pretty close to the subject, but occasionally you might require a couple of refocus attempts (by half-pressing the shutter release) to make sure you get the focus you need. There is a sensor on the viewfinder which automatically switches it on, and the screen off, when the camera is lifted to your eye. If you prefer though, you can switch this sensor off and manually switch between the two - this can be particularly useful when you’re shooting at some angles - such as waist level - where your body might accidentally set off the sensor leaving you unable to see what you’re composing. The sensor itself is sensitive enough, but not too sensitive, making the transition between using the screen and the viewfinder a nice, almost seamless, transition. The Panasonic Lumix DMC-TZ70's screen itself is also good, and doesn’t suffer hugely from glare or reflections, aside from in the very brightest of sunlight - which is where the viewfinder comes into use. Focusing speeds are generally very quick, especially when using it in bright, outdoor light. As the light dims, you may notice it hunt a little more to acquire focus, but even this is pretty quick and it’s rare for the camera to confirm focus when that’s not the case. 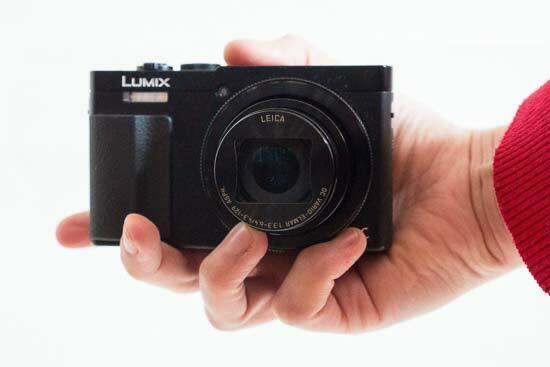 The Panasonic Lumix DMC-TZ70, as with its predecessor, offers the capability to shoot in RAW format. At the time of writing, there’s no support for these files with Adobe Camera Raw, but you can use the bundled Silkypix studio to develop raw files - it’s likely that an ACR update will become available very soon. As is becoming increasingly more common with cameras nowadays, especially compact cameras, the TZ70 features both inbuilt Wi-Fi and NFC connectivity. This means you can compose an image from your phone screen - useful for awkward angles, group shots and selfies, as well as send images across to your phone for quick sharing on social networking sites. Panasonic claims that this functionality has been improved for the TZ70, but at the time of writing, the required smart device app has not yet been updated to be compatible with the camera so it’s not possible to test that out. Having used Panasonic’s Wi-Fi function before, it seems reasonably likely that it will work well, though.